21 Results matching titles words. 224 Results matching product descriptions. 27 Results matching title or description. HDMI v1.3 Video and Digital Audio Selector 4in:1out is a high performance switch, allowing quick and easy control of 4 x HDMI video with separate digital coaxial or TOSlink audio sources to display on 1 x High Definition TV or projector. Fully HDMI v1.3 Video compatible, this product supports Dolby Digital TrueHD and DTS-HD Master Audio transmission. Designed for application in Retail Stores, Conference Centres and is ideal for Home Theatre integration. The Video and Component to HDMI Scaler Box - CHQV-3H is specifically designed for PAL and NTSC analog Composite video and Standard Definition Component video to be up-scaled and displayed on HDTV's. 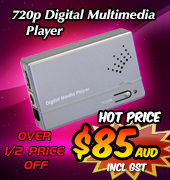 This device is suitable for iPod & MPEG 4 video devices to display video images on the big screen with HD resolution. The PAL/NTSC Video to HDMI v1.3 HD Scaler Box is designed to upscale an analog Composite Video or S-Video signal (either PAL or NTSC) to a selectable High Definition HDMI output. This allows you to watch your Standard Definition analog video content on your HDTV at High Definition resolutions (480p, 576p, 720p, 1080i and 1080p). The HDMI v1.3 Compliant Video Test Pattern Generator is designed for audio and video signal testing. With built-in 39 timings and 51 patterns that accept both analog and digital signals, it provides over a thousand types of testing signals. 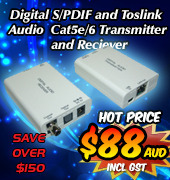 Component Video to HDMI Converter plus Audio with analog/digital Audio conversion capability. The Component Video to HDMI Converter plus Audio allows conversion of Component Y/CbCr/PbPr video signals from a DVD player, Set-Top Box or Multimedia player to be displayed on HDTV displays. The HDMI Video Scaler accepts a HDMI input, scales it, and outputs to HDMI at a number of different selectable resolutions. 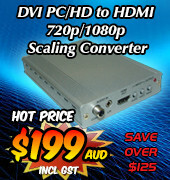 It scales any PC (VGA-WUXGA) or HD (480i-1080p) to/from another PC/HD resolution.